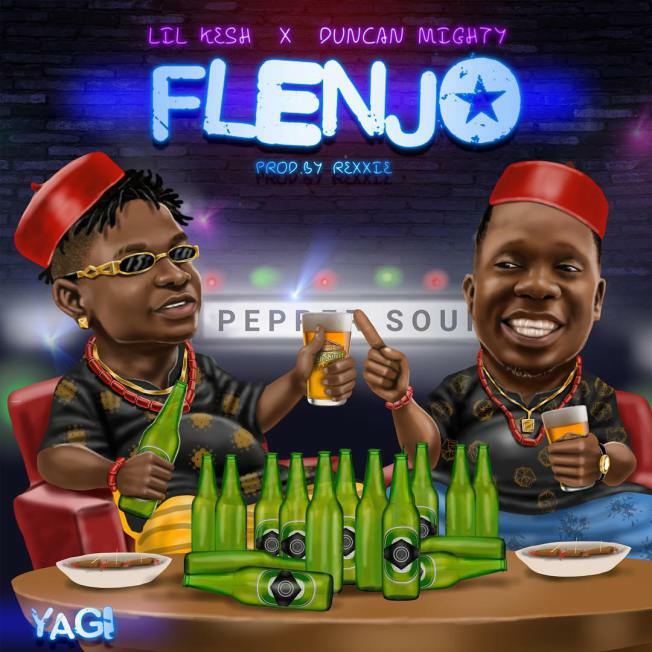 Lil Kesh – Flenjo Ft. Duncan Mighty, After unreal circulation of beef with Olamide, YAGI Boss Lil Kesh returns for a brand new one dubbed Flenjo featuring Rave of the moment Duncan Mighty. Lil Kesh handles Flenjo Production over to Rexxie who did justice as usual. Few days back Lil Kesh was featured on DJ Worldwide hit one Savage which is off his forthcoming Project, Who knows Lil Kesh will return with Flenjo so soon Ft. Duncan Mighty. Lil Kesh premieres Flenjo after the success Again O had.